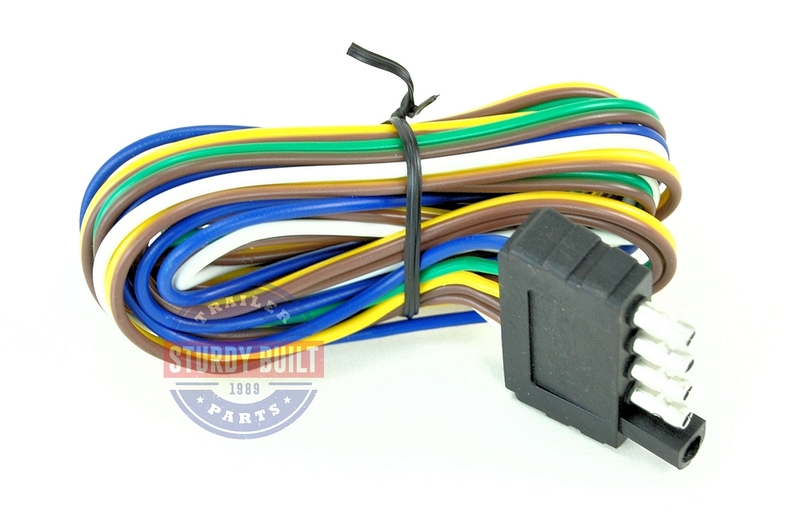 This is a 5 Flat Wiring Connector for Trailers that will be adding, or currently have hydraulic disc brakes. Going from a 4 Flat to a 5 Flat means adding the 5th Blue Wire. On the 5 Flat Connector, the blue wire is hooked directly to the Reverse Lockout Solenoid. This 5th wire is essentially to corrected operate the system. Your tow vehicle would need to be outfitted with either a 5 Flat connector or 7 RV connector. This would mean that your reverse lights have been tied into your truck adapter. When you put your vehicle in reverse, the signal is transmitted through the blue wire and signals your reverse lockout solenoid to shut off the flow of fluid to your brake lines, allowing your to reverse without your brakes locking up. Simply connect these wires to your existing trailer wires and you will be good to go. Make sure you have a solid ground, very commonly uses is the tongue of the trailer. It may be necessarily to grind off paint or coatings to get down to bare metal for a good connection. Exactly as described. Works fine. Good price, quick shipping, completely satisfied.